More than seven thoughts about the current season of Doctor Who (so far). A collection of thoughts in no real order on Season 5 of Doctor Who so far. And I've been watching it on BBC America, so I'm only as far as "Vampires in Venice," so if I say anything that's later contradicted, please don't spoil. Though bear in mind that you haven't seen as far as I have, there will be spoilers. I never said I wasn't a hypocrite. 1. I'm calling it here and now - Matt Smith is my second favorite Doctor of the new series (Tennant is first, Eccleston third... not that I dislike Eccleston, mind you). This is largely because his portrayal so far manages to encapsulate many of the qualities I have enjoyed in previous Doctors - brilliance, charm, whimsy, humor, petulance, ego, arrogance, and an alien aloofness - but in such a way as to not seem like he's imitating any of the actors he is borrowing from. Nor does he overplay any of these characteristics (very thankfully). I think what makes Smith such a good Doctor is that he clearly understands that while the character is heroic, noble, and even, ideally, Capital G Good, he isn't always particularly pleasant. But that has always been part of the Doctor's appeal: he's the guy who will insult you, and probably your entire species, one second, and then sing your praises to the heavens and offer you a jelly baby the next. 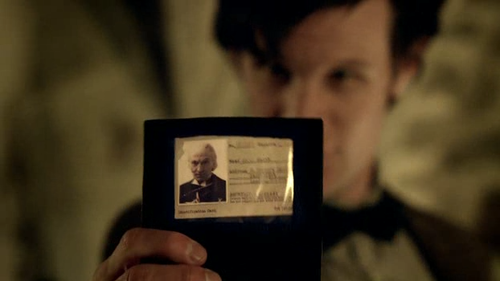 The Doctor is more than eccentric, he's erratic, and Smith is nailing that. 2. Interestingly - for good or ill, you'll have to decide - the season itself has been erratic, too. Downright uneven, I'd say. I've liked every episode I've seen so far - even the Dalek one that a lot of other people seemed to take issue with online - but the only episode to bowl me over completely has been the season premiere. 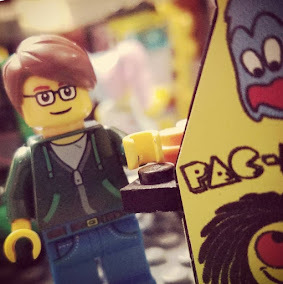 I think it was Dave Lartigue who wrote that most of the episodes still seem a bit unfinished, like the scripts could use one more draft before going into production, and I agree with that to a certain point. I think I'm a little more positive overall about the season so far than he was, but there's still a certain, I don't know, abruptness (maybe?) to the Steven Moffat finished product that I don't recall seeing in the Russell T. Davies seasons. 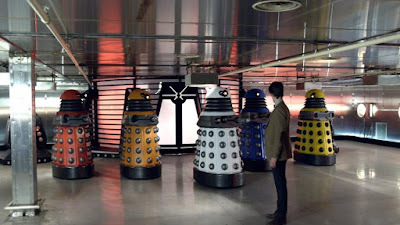 But at the same time, after recently rewatching Davies' season one, I noticed for the first time that it takes a good 6 or 7 episodes (right around "Dalek") for the series to find its feet. I overlooked that the first time through because I was just so happy to finally have Doctor Who back on TV, but now it can be really hard to get past the burping trash bins and farting Slitheen. And let's face it, we don't just have a new cast to get used to, but a mostly new production team as well, which for all intents and purposes makes it a new program almost from the ground up. I think some growing pains are to be expected. 3. Karen Gillen as Amy Pond... I can't be at all objective here. They had me at headstrong, impulsive, resourceful Scottish redhead. That she's one of the cutest cute people to ever do cute things cutely is only icing on the cake. Sorry, where was I? Oh, yeah. 4. The season's ongoing storyline, with the crack in the universe and the silence and whatnot. I appreciate that it's not left vaguely dangling all season long, only to be touched upon in full in the final 2 or 3 episodes of the season, but still, we still haven't been given quite enough for me to understand why I should care yet. Now I guess we get a little more info on this in the next episode, "Amy's Choice," but those of us watching on BBC America have to wait two weeks for that now, seeing as they're spending Memorial Day weekend doing marathons of past episodes of Doctor Who and, for whatever reason, Star Trek: The Next Generation (don't even get me started). As a result, I'm more annoyed by having to wait for some answers, rather than anticipatory. Maybe that's just my hang-up, though. 5. Speaking of ongoing plot points, River Song: I'm all for keeping her mysterious and vague so long as we learn at least one important thing about her relationship with/to the Doctor in each appearance. I love the sense of mystery about her, and the whole idea of the Doctor repeatedly meeting her out of order is something that seems so brilliantly simple it's a wonder they haven't thought of it before now (in the series proper, anyway; they've done this sort of thing in the books before); but I don't want them to drag it out to X-Files proportions, where it becomes mystery for mystery's sake. 6. Amy's boyfriend Rory... I'm still sussing out my feelings on him. In some ways, he's Mickey 2.0, but in others, he seems quite different. Rory adapts to, and even accepts, the Doctor's role in their lives a lot quicker than Mickey did, and even seems to grasp that he's not so much competing with the Doctor for Amy so much as he's competing with her pre-existing doubts of him. And that goes back to "The Eleventh Hour," when he had to state pretty emphatically that was, in fact, the boyfriend, while she hemmed and hawed. And the Doctor's response to Rory's rather humdrum reaction to the TARDIS ("You didn't say 'it's bigger on the inside than the outside.' I like that bit.") was interesting. He seemed hurt and maybe even suspicious. Looking forward to see how/if that plays out. 7. Getting back to That Dalek Episode. Maybe it felt a bit truncated, but after so many Dalek episodes in the new series, it was nice to get one that set up future confrontations but was, for the most part, One & Done. 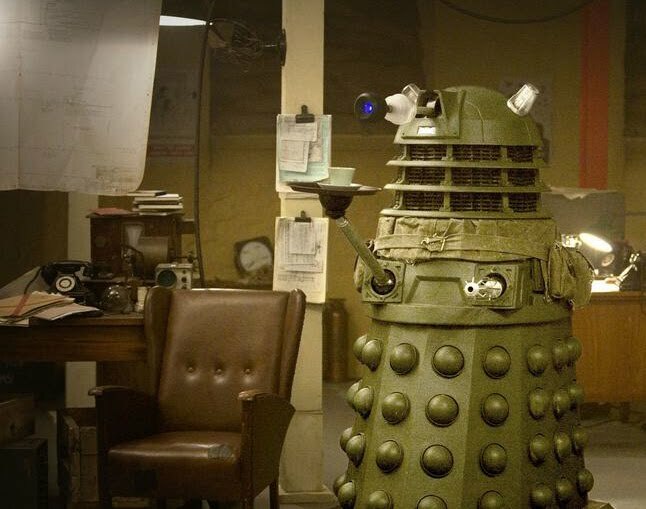 We know what the Daleks are capable of, so they don't always need to belabor the point. Also, it's handy that they now come in a variety of designer colors to match any planet's corridor's decor. Though the one on the far right... what color is he, avocado? He looks like my parents' kitchen circa 1978. But for the obvious, inevitable "EXTERMINATE" that would soon follow, I'd want one myself. But, um, what's he going to do with the pouches? How does he even get into those? Great comments, but X-Files is the "myster for mystery's sake" template in these post-Lost times? How retro. Pretty much agree with everything you've said. Love Doc11, love Amy, even like Rory. Well, I didn't watch Lost - not for lack of trying back in season 1, but it just never grabbed me - so I had to go with what I knew. 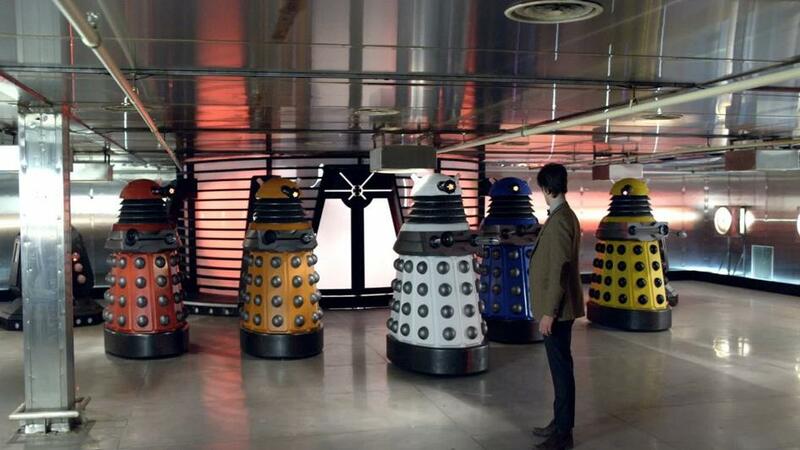 Once we have a purple Dalek will be accuse it of being homosexual? Happy Towel Day to Hoopy Froods Everywhere. Are you ready for some, um, links, I guess? Still More About the Atom.